Croatian Villas can assist in arranging the following Premium Services when travelling to Croatia. Why not combine one or all of these with a stay at a property featured in our Premium Villa Collection. or give us a call on ++ 44 (208) 888 6655 where one of our Croatia specialists can discuss your premium service requirements further. Croatian Villas can organize someone to meet you on your arrival at the airport terminal rather than wait in line at the rental desk. We can also arrange for a car to be delivered to your villa. For further details please speak with one of our Croatia specialists or complete one of our Contact Us forms. Croatian Villas, where possible, can organize chefs/local cooks, cleaners, chauffeurs, babysitting, personal trainers. We strongly recommend booking such services in advance. For further details of our Concierge Service please Contact Us with your specific requests. 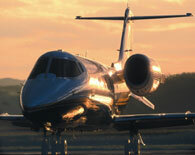 Why not opt for a private jet charter to Croatia. Offering flexible arrival and departure times from airports convenient to your own schedule, every small detail of your flight will be handled by an experienced charter consultant on 24 hour duty. All your requests will be taken care of from your preferred crew, to your personal choice in music, films, food and drink. Private jet charter offers an ideal way to travel to Croatia for that special occasion and may not be as expensive as you thought. Croatian Villas preferred partner is International Air Charter, one of the largest independent aircraft charter brokers in the world with a network of offices throughout Europe including London, Nice, Frankfurt, Milan and Moscow, and international offices in New York and Dubai. For further information / quote please complete a Private Air Charter Enquiry form where one of our private jet charter specialists will be in contact you with you. Many of the properties offered within the Premium collection have their own boat mooring. Croatian Villas can organize a motor boat/yacht charter during your stay should you book any of these properties. 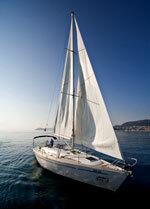 Why not consider one week in a Premium property and another week on a luxury boat cruising around the Adriatic. For full details of our boat service please Contact Us.